Nieodłączną częścią pracy badawczej metodami sejsmologii eksperymentalnej są pomiary polowe. Brałem udział w wielu eksperymentach (aktywnych i pasywnych) mających na celu rozpoznanie głębokiej budowy litosfery, które były przeprowadzone w różnych częściach Europy, a także w rejonach polarnych (Spitsbergen, Antarktyka Zachodnia). Realizowane przedsięwzięcia to duże programy badawcze prowadzane w szerokiej współpracy międzynarodowej. Starostenko V.I., T. Janik, O.B. Gintov, D.V. Lysynchuk, P. Środa, W. Czuba, E.V. Kolomiyets, P. Aleksandrowski, V.D. Omelchenko, K. Komminaho, A. Guterch, T. Tiira, D.N. Gryn, O.V. Legostaeva, G. Thybo, A.V. Tolkunov, 2017. Izvestiya, Physics of the Solid Earth, 53(2), 193–204, DOI: 10.1134/S1069351317020124 (© Pleiades Publishing, Ltd., Original Russian Text © published in Fizika Zemli, 2017, 2, 24–35). Starostenko V.I., T. Janik, O.B. Gintov, D.V. Lysynchuk, P. Środa, W. Czuba, E.V. Kolomiyets, P. Aleksandrowski, V.D. Omelchenko, K. Komminaho, A. Guterch, T. Tiira, D.N. Gryn, O.V. Legostaeva, H. Thybo, A.V. Tolkunov, 2017. Izvestiya, Physics of the Solid Earth 53(2), 205–213, DOI: 10.1134/S1069351317020136 (© Pleiades Publishing, Ltd., Original Russian Text © published in Fizika Zemli, 2017, 2, 36–44). Okoń J., Giżejewski J., Janik T., 2016. Polish Polar Research, 37, 2, 243–268, doi: 10.1515/popore-2016-001. Janik T., Środa P., Czuba W., Lysynchuk D., 2016. Various Approaches to Forwardand Inverse Wide-Angle Seismic Modelling Tested on Data from DOBRE-4 Experiment. Acta Geophysica, 64, 6, 1989-2018. DOI: 10.1515/acgeo-2016-0084. Starostenko, V., Janik, T., Stephenson, R., Gryn, D., Rusakov, O., Czuba, W., Środa, P., Grad, M., Guterch, A., Flűh, E., Thybo, H., Artemieva, I., Tolkunov, A., Sydorenko, G., Lysynchuk, D., Omelchenko, V. Kolomiyets, K., Legostaeva, O., Dannowski, A., Shulgin, A., 2016. DOBRE-2 WARR profile: the Earth’s crust across Crimea between the Azov Massif and the northeastern Black Sea Basin,[In]: Sosson, M., Stephenson, R.A., Adamia, S. A. (eds),Tectonic Evolution of the Eastern Black Sea and Caucasus. Geological Society, London, Special Publications, 428, doi:10.1144/SP428.11. Sydorenko G., Stephenson R., Yegorova T., Starostenko V., Tolkunov A., Janik T., Majdanski M., Voitsitskiy Z., Rusakov O., Omelchenko V., 2016. Geological structure of the northern part of the Eastern Black Sea from regional seismic reflection data including the DOBRE-2 CDP profile. [In]: Sosson, M., Stephenson, R.A., Adamia, S. A. (eds),Tectonic Evolution of the Eastern Black Sea and Caucasus. Geological Society, London, Special Publications, 428, http://doi.org/10.1144/SP428.11. Starostenko, V., Janik, T., Yegorova, T., Farfuliak, L., Czuba, W., Środa, P., Thybo, H., Artiemieva, I., Sosson, M., Volfman Y., Kolomiyets, K., Lysynchuk, D., Omelchenko, V., Gryn, D., Guterch, A., Komminaho, K., Legostaeva, O., Tiira, T., Tolkunov, A., 2015. Geophys. J. Int., 201 (1): 406-428, doi:10.1093/gji/ggv018. Tiira, T., Janik, T., Kozlovskaya, E., Grad, M., Korja, A., Komminaho, K., Hegedűs, E., Kovács, C. A., Silvennoinen, H., and Brűckl, E., 2014. Janik, T., Grad, M., Guterch, A., Środa, P., 2014. Global and Planetary Change, 123, 213-222, DOI:10.1016/j.gloplacha.2014.08.018. Janik, T., Grad, M., Guterch, A., 2014. Five Polish Seismic Expeditions to the West Antarctica (1979-2007). [In]: Bialik, R. et al. (eds. ), Achivements, History and Challanges in Geophysics, 60th Anniversary of the Institute of Geophysiccs Polish Academy of Sciences, GeoPlanet: Earth and Planetary Sciences, DOI:10.1007/978-3-319-075990-0_8, Springer International Publishing Switzerland, pp. 137-157. Narkiewicz, M., Maksym, A., Malinowski, M., Grad, M., Guterch, A., Petecki, Z., Probulski, J., Janik, T., Majdański, M., Środa, P., Czuba, W., Gaczyński, E., Jankowski, L., 2015.
International Journal of Earth Sciences, 104, 775-796, DOI: 10.1007/s00531-014-1116-4. Malinowski, M., Guterch, A., Narkiewicz, M., Petecki, Z., Janik, T., Środa, P., Maksym, A., Probulski, J., Grad, M., Czuba, W., Gaczyński, E., Majdański, M., Jankowski, L., 2015. Tectonophysics, 653, 109-126, doi: 10.1016/j.tecto.2015.03.029. Bielik, M., Alasonati Tašárová, Z., Vozár, J., Zeyen, H., Gutterch, A., Grad, M., Janik, T., Wybraniec, S., Götze, H.J., Dérerová, J., Grinič, M., 2014. Gravity and seismic modelling in the Carpathian-Pannonian Region. [In]: Vozár, J. et al. (eds. ), Variscan and Alpine terranes of the Circum-Pannonian region. Slovak Acad. of Sc., Geological Institue, Bratislava, second extended edition, DVD version only, ISBN 978-80-971609-9-9. Starostenko, V., Janik, T., Lysynchuk, D., Środa, P., Czuba, W., Kolomiyets, K., Aleksandrowski, P., Gintov, O., Omelchenko V., Komminaho K., Guterch A., Tiira T., Gryn D., Legostaeva O., Thybo H., Tolkunov A., 2013. Starostenko, V., Janik, T., Kolomiyets K., Czuba W., Środa P., Grad M., Kovács I., Stephenson R., Lysynchuk D., Thybo H., Artemieva I.M., Omelchenko V., Gintov O., Kutas R., Gryn D., Guterch A., Hegedűs E., Komminaho K., Legostaeva O., Tiira T., Tolkunov A., 2013. Malinowski, M., Guterch, A., Narkiewicz, M., Probulski, J., Maksym, A., Majdański, M., Środa, P., Czuba, W., Gaczyński, E., Grad, M., Janik, T.,Jankowski, L., Adamczyk, A., 2013. Journal of Geodynamics, 52, 97–113, doi:10.1016/j.jog.2010.12.002. Acta Geophysica, Vol. 58, 4, 543-586, DOI:10.2478/s11600-010-0002-0. Geol. Mag. 148 (2), 191–210. c_ Cambridge University Press, doi:10.1017/S001675681000049X. Joint geophysical and petrological models for the lithosphere structure of Antarctic Peninsula continental margin. Geophys. J. Int. 184, 90-110, doi: 10.1111/j.1365-246X.2010.04867.x. Bielik, M., Alasonati Tašárová, Z., Vozár, J., Zeyen, H., Gutterch, A., Grad, M., Janik, T., Wybraniec, S., Götze, H.J., Dérerová, J., 2010. [In]: Vozár, J. et al. (eds. ), Variscan and Alpine terranes of the Circum-Pannonian region. Slovak Acad. of Sc., Geological Institue, Bratislava, ISBN 978-80-970578-5-5, pp. 202-233. J. Geophys. Res. 114, B06308, doi:10.1029/2008JB005689. Geological Quarterly 53 (1), 141-158. J. Geophys. Res., 112, B04302, doi:10.1029/2006JB004681. Moho depth along the Antarctic Peninsula and crustal structure across the landward projection of the Hero Fracture Zone. [In]: Fütterer D.K., Damaske D., Kleinschmidt G., Miller H., Tessensohn F (eds), Antarctica: Contributions to global earth sciences, Springer-Verlag, Berlin Heidelberg New York, pp 229-236. Bogdanova, S., Gorbatschev, R., Grad, M., Janik, T., Guterch, A., Kozlovskaya, E., Motuza,G., Skridlaite, G., Starostenko, V., Taran, L., EUROBRIDGE and POLONAISE Working Groups, 2006. [In]: Gee D.G., and Stephenson R.A. (eds. ), European Lithosphere Dynamics. Geological Society, London, Memoirs, 32, p.599-625. Lithospheric structure beneath trans-Carphatian transect from Precambrian platform to Pannonian basin – CELEBRATION 2000 seismic profile CEL05. J. Geophys. Res., 111, B03301, doi:10.1029/2005JB003647. Środa, P., Czuba, W., Grad, M., Guterch, A., Tokarski, A., Janik, T., Rauch, M., Keller G.R., Hegedüs, E., Vozár, J., and CELEBRATION 2000 Working Group, 2006. Crustal structure of the Western Carpathians from CELEBRATION 2000 profiles CEL01 and CEL04: seismic models and geological implication. Grad, M., Janik, T., Guterch, A., Środa, P., Czuba, W., and EUROBRIDGE’94 –97, POLONAISE’97 & CELEBRATION 2000 Seismic Working Groups, 2006. Geological Quarterly 50 (1), 9-22. Malinowski, M., Żelaźniewicz, A., Grad, M., Guterch, A., Janik, T., CELEBRATION 2000 Working Group, 2005. Janik, T., Grad, M., Guterch, A., Dadlez, R., Yliniemi, J., Tiira, T., Keller, G.R., Gaczyński, E., and CELEBRATION 2000 Working Group, 2005. Tectonophysics, 411, 129-156, doi: 10.1016/j.tecto.2005.09.005. Kozlovskaya, E., Janik, T., Yliniemi, J., Karatayev, G., Grad,, M., 2004. Density-velocity relationship in the upper lithosphere obtained from P- and S-wave velocity models along the EUROBRIDGE'97 seismic profile and gravity data. Acta Geophysica Polonica, Vol. 52, 4, 1-28. The DOBREfraction’99 Working Group: Grad, M., Grin, D., Guterch, A., Janik, T., Keller, G.R., Lang, R., Lyngsie, S.B., Omelchenko, V., Starostenko, V.I., Stephenson, R.A., Stovba, S.M., Thybo, H., Tolkunov, A., 2003. “DOBREfraction’99” – velocity model of the crust and upper mantle beneath the Donbas Foldbeld (East Ukraine). Thybo, H., Janik, T., Omelchenko, V.D., Grad, M., Garetsky, R.G., Belinsky, A.A., Karatayev, G.I., Zlotski, G., Knudsen, M.E., Sand, R., Yliniemi, J., Tiira, T., Luosto, U., Komminaho, K., Giese, R., Guterch, A., Lund, C.-E., Kharitonov, O.M., Ilchenko, T., Lysynchuk, D.V., Skobelev, V.M., Doody, J.J., 2003. Upper lithospheric seismic velocity structure across the Pripyat Trough and the Ukrainian Shield along the EUROBRIDGE’97 profile. Grad, M., Jensen, S.L., Keller, G.R., Guterch, A., Thybo, H., Janik, T., Tiira, T., Yliniemi, J., Luosto, U., Motuza, G., Nasedkin, V., Czuba, W., Gaczyńsk,i E., Środa, P., Miller, K.C., Wilde-Piórko, M., Komminaho, K., Jacyna, J., and Korabliova, L., 2003. Crustal structure of the Trans-European suture zone region along POLONAISE’97 seismic profile P4. Journal of Geophysical Research, 108, B11, 2541, doi: 10.1029/2003JB002426. Grad, M., Grin, D., Guterch, A., Keller, G.R., Lang, R., Lyngsie, S.B., Lysynchuk, D., Omelchenko, V., Starostenko, V.I., Stephenson, R.A., Stovba, S.M., Thybo, H., Tolkunov, A., and Janik, T., 2003. DOBRE-99: The Crust Structure of the Donets Basin along the Mariupol-Belovodsk Profile. Izvestiya. Physics of the Solid Earth, Vol. 39, Nr 6, 464-473. Janik, T., Yliniemi, J., Grad, M., Thybo, H., Tiira, T., and POLONAISE P2 Working Group, 2002. Crustal structure across the TESZ along POLONAISE’97seismic profile P2 in NW Poland. Seismic characteristic of the crust in the transition zone from the Pacific Ocean to the northern Antarctic Peninsula, West Antarctica. EUROBRIDGE’95 Seismic Working Group: Yliniemi, J., Tiira, T., Luosto, U., Komminaho, K. (Finland); Giese, R. (Germany); Motuza, G., Nasedkin, V., Jacyna, J., Seckus, R. (Lithuania); Grad, M., Czuba, W., Janik, T., Guterch, A. (Poland); Lund, C-E. (Sweden); Doody, J.J. (UK), 2001. EUROBRIDGE’95: Deep Seismic Profiling within the East European Craton. Tectonophysics (special volume), 339, 1-2, 153-175. Grad, M., Janik, T., Yliniemi, J., Guterch, A., Luosto, U., Komminaho, K., Środa, P., Höing, K., Makris, J., and Lund, C-E., 1999. Crustal structure of the Mid Polish Trough beneath TTZ seismic profile. Jensen, S. L., Janik, T., Thybo, H. and POLONAISE Working Group, 1999. Seismic structure of the Palaeozoic Platform along POLONAISE’97 profile P1 in NW Poland. EUROBRIDGE Seismic Working Group: Garetsky, R.G., Belinsky, A.A., Karatayev, G.I., Zlotski, G. (Belarus); Thybo, H., Knudsen, M. (Denmark); Yliniemi, J., Tiira, T., Komminaho, K., Luosto, U. (Finland); Giese, R. (Germany); Grad, M., Janik, T., Guterch, A. (Poland); Motuza, G., Nasedkin, V., Jacyna, J. (Lithuania); Kharitonov, O.M. 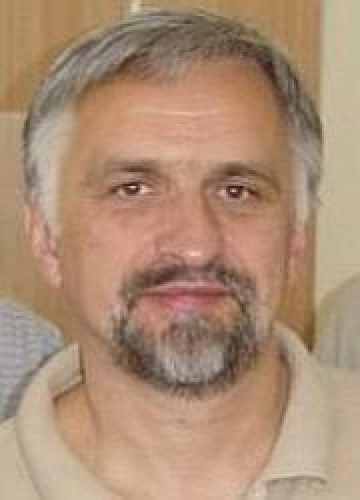 , Omelchenko, V.D. (Ukraine); Doody, J.J. (UK), 1999. P – and S –wave seismic structure across the Fennoscandia-Sarmatia suture of the East European Craton beneath the EUROBRIDGE profile through Lithuania and Belarus. FENNIA Working Group: Heikkinen, P., Luosto, U., Malaska, J., Grad, M., Janik, T., Maguire, P., Denton, P., Lund, C-E., Lefmann, A-K., Yliniemi, J., Komminaho, K., 1998. P- and S-velocity structure of the Baltic Shield beneath the FENNIA profile in southern Finland. Grad, M., Shiobara, H., Janik, T., Guterch, A., Shimamura, H., 1997. New Seismic Crustal Model of the Bransfield Rift, West Antarctica from OBS Refraction and Wide - Angle Reflection Data. Geophysical Journal International, 130, 2: 506-518. Crustal Model of the Bransfield Rift, West Antarctica, from Detailed OBS Refraction Experiment. [In]: Ricci C.A. (ed.) The Antarctic Reggion Geological Evolution and Processes, Terra Antarctica Publication, Siena: 675-678. Seismic crustal structure in the transition zone between Antarctic Peninsula and South Shetland Islands. In: Ricci, C.A. (Ed. ), The Antarctic Region: Geological Evolution and Processes. Terra Antarctica Publication, Siena, pp. 679–684. Seismic Crustal Structure of the Bransfield Strait, West Antarctica. Polish Polar Research, 18, 3-4: 171-225. Guterch, A., Grad, M., Janik, T., Materzok, R., Luosto, U., Yliniemi J., Lück, E., Schulze, A., Förste, K., 1994. C.R. Acad Sci. Paris, t 319, serie II, p.1489-1496. Grad, M., Guterch, A., Janik, T., 1993. Geophysical Journal International, 115, p.586-600. Guterch, A., Grad, M., Materzok, R., Perchuc, E., Janik, T., Gaczynski, E., Doan, T.T., Bialek, T., Gadomski, D., Mlynarski, S., Toporkiewicz, S., 1992. Guterch A., Grad M., Janik T., Perchuc E., 1991. [In:] Eds. M.R.A. Thomson, J.A. Crame and J.W. Thomson, Geological Evolution of Antarctica, Cambridge University Press, p.499-504. Grad, M., Guterch, A., Janik, T., Perchuć, E., 1986. Grad M., Guterch A., Janik T., Perchuc E., 1986. [In]: The European Geotraverse, p.2, Eds.. D. A. Galson and St. Mueller, p.149. Guterch, A., Grad, M., Janik, T., Perchuć, E., Pajchel, J., 1985.